At Autohaus Auckland we offer superior servicing on all vehicles. Technicians are trained specialists on Aston Martin, Bentley and Mercedes-Benz vehicles so you are assured you and your vehicle will receive the highest level of service and technical advice. We provide genuine parts, OEM and second hand parts. By offering alternative parts options we are able to keep the overall cost lower than many of our competitors. Our commitment to our customers is to provide the highest level of service, while carrying out quality maintenance, servicing, mechanical and auto electrical work to international standards. Please click on below items for further details. A transmission service is required on average every 60000km’s. By doing this service your transmission will run smoother for a lot longer saving costly transmission repairs. Autohaus Auckland has a variety of Diagnostic tools and equipment on hand. Equipment is kept up to date with current software updates. Having current Diagnostic computers is essential in today’s market. Gone are the days of lifting the bonnet and making a few minor adjustments. Our Diagnostic computers allow us to not only service brands we specialise in but many other brands as well including European and Japanese brands. Being an independent service centre allows us to source parts from a variety of suppliers. This includes onshore and offshore suppliers.We are able to source genuine parts when required and in many cases Autohaus Auckland has been able to source parts direct from the manufacturers, cutting out the middle man. Another option offered to customers is OEM Parts and Second Hand parts. This is an area we are able to make the most savings for our customers. You will find more information regarding ordering of parts on our parts page. Mechanical Breakdown Insurance is something we would suggest looking into when purchasing your next vehicle. This can be a financial life saver! Just as important is the relationship your chosen workshop has with these insurance providers. We have had a positive and long association with all of NZ’s Mechanical Breakdown Insurance providers we have dealings with to date. We are proud to be a preferred Autosure NZ workshop. There are 6 courtesy vehicles available. While we have this many vehicles available, they are in hot demand. Please Note: We do all we can to ensure pre-booked courtesy vehicles are available, however on the very odd occasion we may phone to advice of a change of plans. 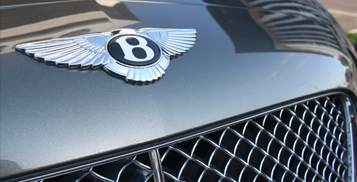 We have one of NZ’s finest Bentley Automotive Technicians available at Autohaus Auckland. Having spent time in the UK Bentley factory we feel we are able to offer our customers the best service and maintenance advice available. Genuine and OEM alternative parts along with genuine diagnostic equipment means your Bentley will be in safe hands when booked in at Autohaus Auckland. Autohaus Auckland has specialised in the servicing and maintenance of Mercedes-Benz vehicles since first opening in 1979. 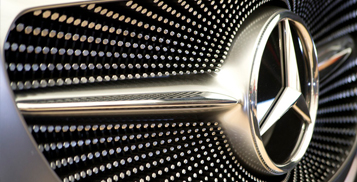 Technicians are highly skilled with many years of knowledge, training and experience within the Mercedes-Benz brand. Genuine Diagnostic Equipment is used, along with Genuine and OEM parts options as well as the option of second hand parts if suitable. With these options we are able to keep the cost of servicing and maintaining your vehicle as low as possible. 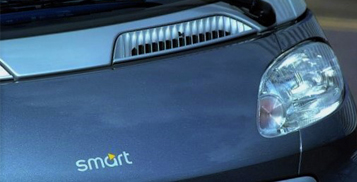 At Autohaus Auckland we are one of NZ’s largest Smart Car servicing centres. Our team have specialised knowledge in all things Smart, often having others in the trade phoning us for advice.